"I am a vet passionate about public interest topics. I enjoy talking about these topics in a public forum. I enjoy educating the general public on topics that would help pet owners throughout Australia. I feel pet ownership and husbandry is more important to Australians everywhere." Dr Chris is so passionate and dedicated to being the best vet ever. He is a great bloke with a fun sense of humour, always positive and striving to help animals. 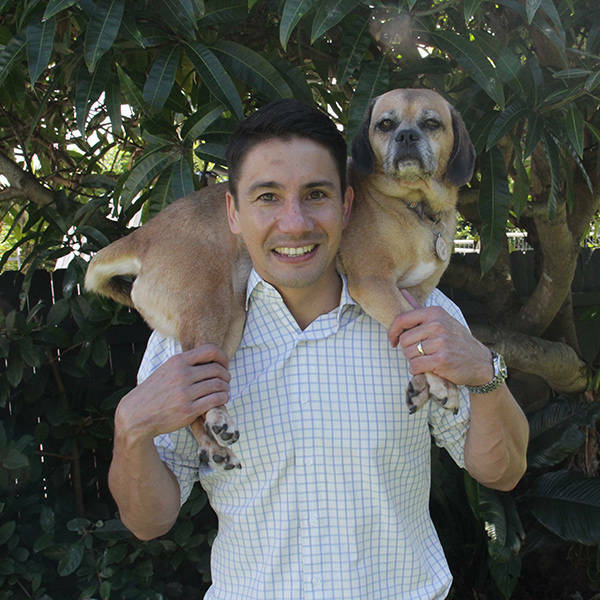 Dr Chris is passionate and dedicated to being the best vet ever. He is a great bloke with a great sense of humour and will cheer up and help any sick animal or worried owner! Chris Hong makes me smile. Chris is incredible! Guineapigs can be delicate, fragile creatures but Chris is extremely reassuring, treats ours guineas preciously. He's a damn fine vet, precision clinical skills, so thoughtful, kind, and caring, with a smile to boot! Move over old Dr Chris, it's time for the new Dr Chris! Chris is a fabulously talented vet dedicated to saving the world one wet nose at a time, including our own fur baby, Taxi. My love runs deep for Chris, obviously he is handsome but his cheeky sense of humour and patience set him apart. His wife is a hottie also. Chris has looked after my Ivy since she was a pup. As anyone who has a staffy knows they can be very neurotic, and there have been many times where Chris is the only one who can calm her down! My TV would be better with him on it! He is very friendly, quick witted, and of course has always been great with my birds.... an excellent bird handler! Dr Chris is a true all rounder in every aspect of his life. His genuine, infectious personality makes him someone that everyone and everything (animals included) gravitate to. He would make perfect Bondi Vet!